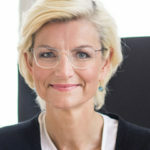 Ulla Tørnæs has served as the Danish Minister for Development Cooperation since November 2016. She was formerly the Minister for Higher Education and Science from February to November 2016, Minister for Development Cooperation from 2005 to 2010, and Minister for Education from 2001 to 2005. She was a Member of the European Parliament for the Liberal Party from 2014 to 2016 and Member of the Danish Parliament from 1994 to 2014. She also was the political spokesperson for Venstre, the Danish Liberal Party, from 1998 to 2001. She served as Member of the management committee of the parliamentary group of the Danish Liberal party from 1994 to 2001. Minister Tørnæs has a degree in Business Administration in English and French from Copenhagen Business School. She completed her university-level studies in Chambéry, France, and at the Faculty of Law, University of Copenhagen.